Written by chris maroulakos on Friday, June 19th, 2015 at 9:00am. There’s a scene early in Me and Earl and the Dying Girl where the two attractive young protagonists lock eyes and, sure enough, sparks fly. 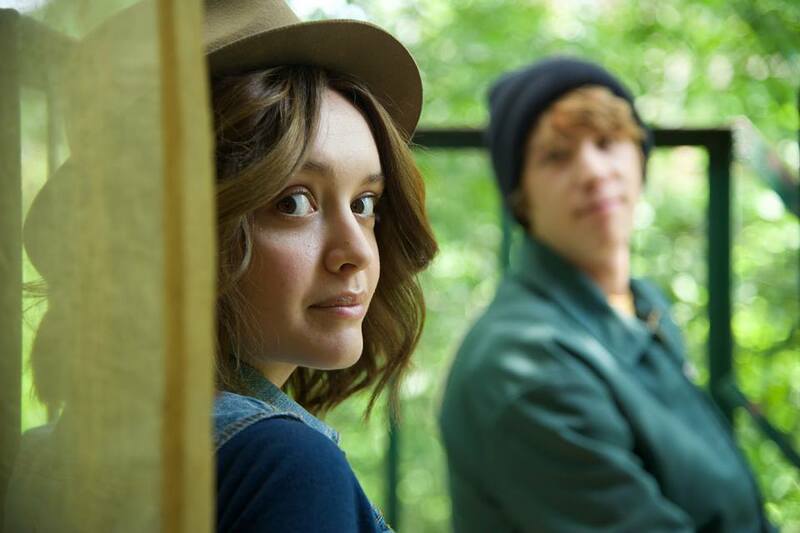 The charming, shy Greg (Thomas Mann as the “me” of the title) has just gotten a laugh out of the soulful, cancer-stricken Rachel (Olivia Cooke). The laughter dies down and the two stare at each other, their teenage hormones suddenly beginning to crackle. This, as Greg’s self-aware voiceover helpfully points out, is the scene where in most movies they’d kiss and fall in love. Luckily, this isn’t most movies: the moment passes and Greg and Rachel immediately go back to being their usual awkward selves. Me and Earl and the Dying Girl takes pleasure — and gives it — by impishly subverting the conventions of trite, manipulative fare like The Fault in Our Stars. No romance ever blooms between Greg and Rachel, at least not in the typical sense, and skirting the tropes of typical three-hanky movies allows Me and Earl to say something more complex and lasting about the power of friendship. It’s no wonder that director Alfonso Gomez-Rejon and screenwriter Jesse Andrews (adapting from his own book) are able to transcend the cliches of most films — they’ve seen a lot of them. Through the aspiring filmmaking duo of Greg and his lifelong friend Earl (RJ Cyler), Gomez-Rejon stages ridiculous recreations of classic cinema. The no-budget, twisted takes on everything from The Seventh Seal to Apocalypse Now recall the “Sweded” productions from Michel Gondry’s Be Kind Rewind, except they’re actually funny. In fact, for a Cancer Movie, Me and Earl and the Dying Girl is frequently hilarious. That’s thanks in part to an excellent supporting cast that includes Nick Offerman and Connie Briton as Greg’s touchy-feely parents, soon-to-be-Punisher Jon Bernthal as a tatted-up history teacher, and Molly Shannon as Rachel’s wine-guzzling, flirtatious mother. Shannon could have been the broadest (and therefore least poignant) character in the film, but her layered performance expertly conveys a deeply wounded soul bracing for yet another blow. But it’s the titular trio that really carries the film. As Greg, Mann gets to be self-loathing and awkward one moment and selfless and compassionate the next. Cyler’s smack-talking Earl is both the film’s main source of comic relief and its emotional compass. And the dying girl Cooke delivers the film’s best performance, never conveying more than when her character is saying little. It helps that the three actually look young enough to be in high school, an oddly rare feat for a high school movie. It’s no wonder that Me and Earl and the Dying Girl was such a sensation at this year’s Sundance festival. It zigs where most movies would zag, and it’s a joy to watch it do so. The young cast, clever dialog, and subject matter will no doubt remind people of The Fault in Our Stars, but if there’s one true spiritual forebear for this movie, it’s Harold and Maude. Like that film, Me and Earl is able to find the humor in life’s bleakest moments and the awkwardness in its most banal ones. And by undermining our notions of life and death, it gives us a deeper understanding of both. Me and Earl and the Dying Girl opens in San Diego on Friday, June 19.